Through long, crescendoing improvisations of Träden(“The Trees”), formerly known as Träd Gräs och Stenar (“Trees Grass and Stones”) in different incarnations but often just as Träden for short, as found their own unique path in the music world for decades, creating a music with room for everyone. Many younger musicians and friends of minimalist, experimental music have been inspired and followed, astonished that a bunch of Swedish hippies made the planet’s most hypnotic, moss-fragrant psychedelic trance rock. 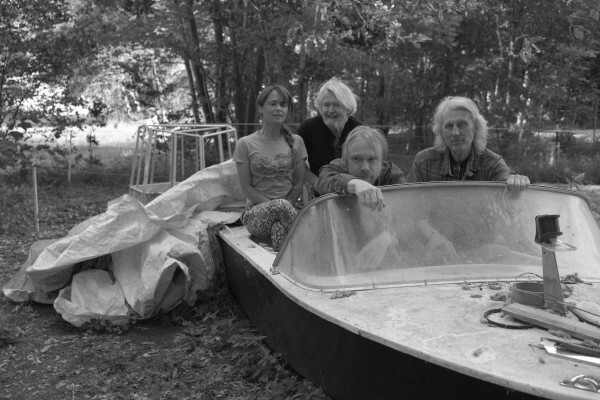 Träden consists of Hanna Östergren (Hills), Sigge Krantz(Archimedes Badkar), Reine Fiske(Dungen, The Amazing), and originator Jakob Sjöholm. In this latest, celebrated edition, the band has played for sold-out houses all over Sweden and other parts of the globe.